The primary purpose of this website is to educate sufferers of overactive bladder. For this reason we wanted to make sure each page was able to provide relevant information. We decided on a colourful and bright site with comforting graphics that will put visitors at ease. We integrated social media including Youtube videos onsite and links to Facebook, Twitter, and Google+. 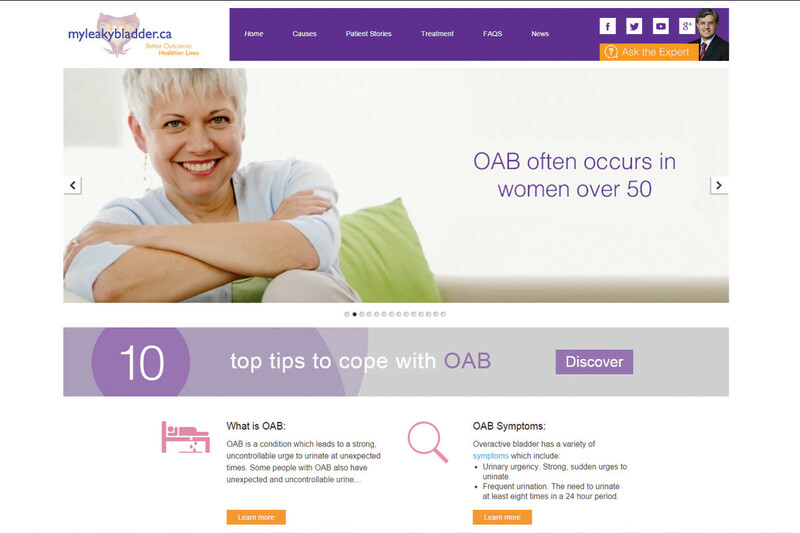 The site informs more than 30 unique visitors per day in nine countries and spreads the word about overactive bladder and treatments.